This handy card is built to be reusable. 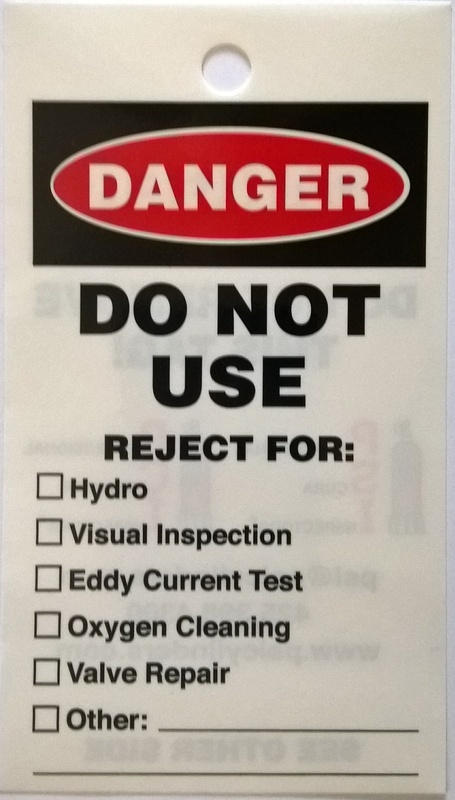 The kit comes with 5 3.5 x 6" cards laminated with the same material as our EOI stickers, rubber bands to attach the card to the valve or Cylinder Plug (sold separately by PSI-PCI), and a grease marking pencil. One side provides indication for the cylinder rejection. The other has contact info for PSI-PCI. 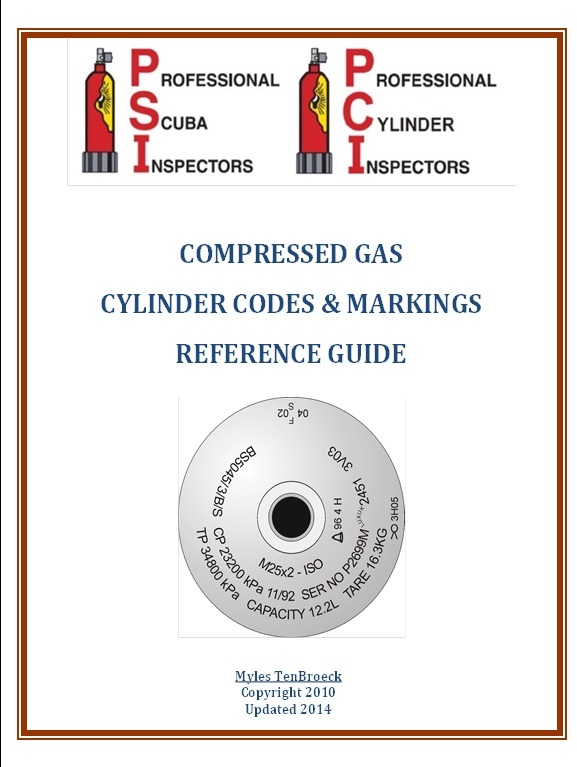 This is a very clear way to notify anyone that a cylinder has been rejected and temporarily removed from service and it is NOT to be used until further action has been accomplished.